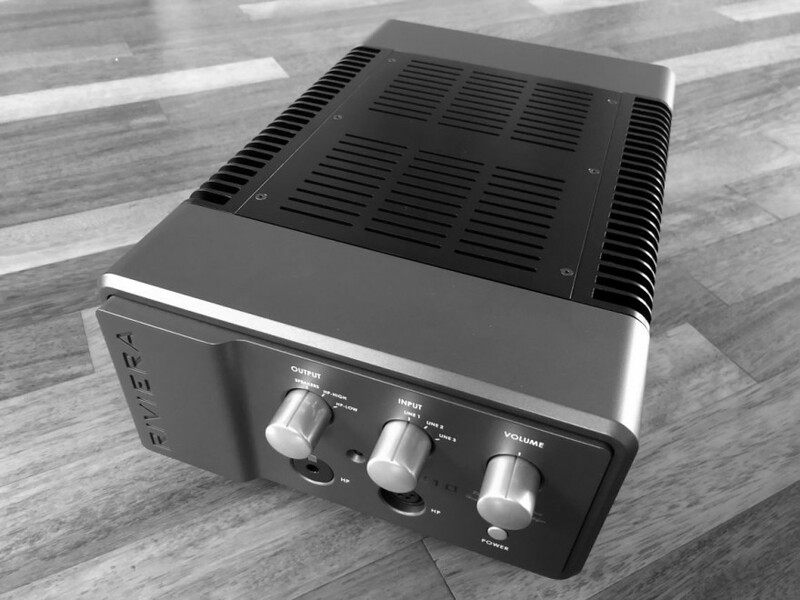 We are proud to announce that ALL IN ONE Riviera Audio Labs’ AIC-10 amplifier scored again a wonderful review on an independent audio web-zine from Germany called #MusicalHead. As original is published in German therefore for our followers convenience we are putting an English translation of the test below. When comparing that test to the early 6Moons’ 1st View, Fidelio’s approach is much more complex and focused on Headphone features, which given his advanced knowledge on that subject , might be especially interesting for all cans enthusiasts. We are grateful for such an mind opening write up. Pictures and copyrights of the text are both courtesy of the Musical Head. Today I test exclusively for you the new RIVIERA AIC10. And to fall directly into the house with the door – this headphone amplifier costs the not insignificant trifle of 12.850, – Euro. And already at this point some readers will probably turn away uncomprehendingly and in view of these price regions rather think about a new fitted kitchen. Or, if necessary, buy a new motorcycle. Or maybe buy more Krugerrand coins for protection at retirement age. So there are certainly some ways to invest your money saved in sour money into “more useful” things. On the other hand, you can not rationally justify the purchase of a sports car. Because of course you do not have to own it – you just want to have it. Because it is so wonderfully unreasonable. And the belly over the head triumphs in a world in which we must inevitably make most of our daily decisions on a rational level. And the fun of the beautiful things in life, unfortunately, often falls by the wayside. Of course, an immense monetary investment at the beginning of the more or less spontaneous gut decision sometimes even mental and physical pain. After their complete overcoming but ultimately outweighs the joy of their own courage. Every morning. Day after day. And is not that exactly what it’s all about in life? Feeling pleasure in things that can inspire us again and again? And so I would be back to the actual topic. Because the RIVIERA AIC10 is exactly one of those things. A device that beguiles the senses. And the soul massages. And every night the proud owner lets himself be satisfied with his purchase decision. A headphone amplifier for life. But first things first. In January 2017, marketing expert Silvio Delfino and chief developer Luca Chiomenti founded the company RIVIERA AUDIO Laboratories srl with headquarters in Italy to realize their vision of a consistent audiophile sound philosophy. However, the still young Italian manufactory bundles over 30 years of experience in the HIGH-END sector. After studying electrical engineering in the early 90’s, Luca Chiomenti worked with different tube circuits and initially designed automatic and servo-controlled BIAS systems for transistor amplifiers. He designed special MOSFET amplification solutions for GALACTRON’s 2000 series and led the full 1200’s production. Significant involved in SAP and DOLCE VITA tube amplifiers, he led, among other things, the brand KIOM to series maturity. In order to finally turn in 2017 to the reference amplifiers of the new RIVIERA brand. Silvio Delfino has been active in high fidelity since 1982. 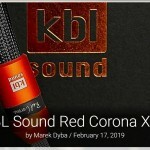 For many years he had his own representation for SONUS FABER, CABRE and CHARIO in San Diego and advised MPI Electronic, ALIANTE, GT-Trading and AUDIO TECHNE. He also contributed to the introduction of the KLIPSCH Heritage Series and was involved in the development of the PALLADIUM line. In addition to his many years as a journalist for Italian HIFI magazines, he has profound knowledge in the field of global marketing and is responsible for the distribution of RIVIERA AUDIO devices. Finally, as an expert in industrial design and rendering for mechanical applications, Marco Muzio completes the Italian dream team by bringing his outstanding design skills to the field of chassis design and professional production engineering. For the ambitious small series manufacturer RIVIERA AUDIO pursued an uncompromising goal right from the start – producing absolutely authentic-sounding audio components for the highest demands and without any monetary restrictions. And thereby bringing passion and technology into perfect harmony. And so the innovative headphone amplifier RIVIERA AIC10 meets the best of Italian style with the highest quality materials in laboratory quality combined with excellent craftsmanship. By the way, thanks again to Silvio and Luca for providing my test pattern! All mechanical components of the RIVIERA AIC10 are sourced from Italian suppliers who specialize primarily in aerospace and optical mechanics. According to Silvio Delfino, these companies operating in the aviation sector of Naples are accustomed to producing even the smallest editions with a formidable quality control. What I can fully confirm after opening the housing cover of the AIC10. Because the Italian headphone amplifier is exclusively equipped with first-class electronic components, which are also extremely generously dimensioned. The two-sided circuit boards are designed, for example, with a thickness of 2 mm instead of 1.6 mm and have three times the thickness of copper traces. All solder masks are transparent and the boards are naturally equipped purely manually. The general build quality of the AIC10 can undoubtedly, but as expected, only be described as absolutely outstanding. 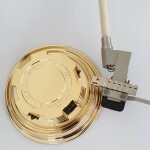 For example, the front and rear sides of the headphone amplifier are milled from 80 mm solid aluminum and the brand name and product name are engraved neatly. The subsequent painting process of the device consists of 11 different steps. Incidentally, the RIVIERA is available in 2 different color variants, whereby I would prefer my anthracite-colored test copy of a likewise available champagne-colored version. Of course it’s a matter of taste. The AIC10 has an unbalanced 1/4 “phone jack and a balanced 4-pin XLR connector on the front panel of the headphone amplifier. The 3 line inputs and the headphone / speaker modes are switched via three knobs in polished aluminum. The volume can be sensitively adjusted via the third control circuit. A power pressure switch completes the equipment list on the front. On the backside, besides the power switch and the corresponding RCA jacks for input selection, there is also a connection option for a veritable speaker pair. And if desired, a rudimentary aluminum solid-color remote control transmits the owner’s commands for the desired volume to a powered potention meter from ALPS. Two handmade transformers from Italian manufacturing, as well as 5 (!) Separate and stabilized power supplies for the various audio sections finally realize the hybrid design of the AIC10, which the developers are aiming for. All energy branches are also powered by several small capacitor circuits instead of the big brothers often used, the same are also arranged in close proximity to the power transistors. This promises, among other things, an extremely fast power supply capability of the headphone amplifier. A voltage-boosting triode circuit in the signal path significantly determines the sound characteristics of the KHV, the complementary MOS-FET output stages help the RIVIERA to truly impressive performance data. The RIVIERA AIC10 is given by the manufacturer rather conservative with a power of 2 x 10 watts into 8 ohms at 0.2% THD. However, the pulse power is already incredible 30 watts per channel at only 1% THD. Consequently, the AIC10 is also able to easily drive high-efficiency speakers and thus sets itself as a power amplifier signs, which I was able to convince myself in detail at the fair in Munich. The output impedance is also only 0.4 ohms. Conventional protection circuits, which could adversely affect the sound quality, are deliberately avoided, and the headphone amplifier operates exclusively in pure Class-A mode in all phases and basically without feedback. Feedback is a classic method of reducing distortion and improving circuit performance (THD, IMD, bandwidth, noise, etc.). However, high levels of feedback act as multipliers of higher order overtone waves. This refers to overtones, which are perceived by the human ear as dissonant. Even if these higher-order overtones are below the listening level, a noise floor is generated which is perceived as undesirable to the human ear. According to the developer Luca Chiomenti, studies have also demonstrated the development of harmonic distortions in the human ear and especially in the cochlea. Thus, a spectrum of harmonic distortions of one’s own ear can be defined. The form of the harmonic distribution is of immanent importance – there is primarily a high dominance of low-order harmonics, with decreasing spectrum. However, these low-order overtone waves, which the ear itself generates, are recognized and suppressed by the brain. Consequently, we only perceive the pure and unadulterated sound. Interestingly, if this pattern is maintained, we also do not distinguish when the same overtone waves are of external origin. For this reason, the AIC10 operates according to Luca Chiomenti in a similar distortion spectrum, which nevertheless sounds extremely transparent and unadulterated, even with relatively high harmonic distortion due to the described psychoacetic aspects. This phenomenon is also dependent on the pressure level. The higher the sound pressure, the higher the harmonic distortion that produces our own ear. This, in practice, tends to favor amplifiers whose harmonic distortion increases monotonically with output power. Based on this theoretical basis, RIVIERA AUDIO has redefined the ideal properties for “Human Ear Dedicated” amps based on 25 years of experience in psychoacoustics. All RIVIERA AUDIO amplifiers are therefore optimized exclusively for the benchmark test, where an actual connection with the listening experience can be proven. The distortion behavior in terms of amplitude and frequency is thus not necessarily extremely low, but it necessarily follows the form of human ear distortion. Zero Overall Feedback, and the minimal use of local feedback, if absolutely essential, is, in the long term experience of chief engineer Luca Chiomenti, necessary to achieve RIVIERA AUDIO’s desired distortion behavior. The use of Class-A amplification in all phases is also the logical consequence if maximum linearity is to be achieved. The amplification of the music signals in hybrid mode is the next logical step. The triode is known to be the best voltage amplifier and, usually in a single-ended configuration, provides a “natural” distortion shape that is very close to that desired by Luca Ciomenti. In turn, silicon devices are best suited for optimizing power delivery and addressing low impedances – when properly used, MOSFETs can also be very well distorted. In the selected topology of the AIC10 they also determine the desired output impedance. According to RIVIERA AUDIO, the AIC10 reproduces the music signals psycho-acoustically optimized and with highest fidelity, not necessarily for potential electronic measuring instruments, but for the human ear. The extent to which this theoretical essay described above actually affects the hearing result will be demonstrated by the following sound test. In order to offer for the review of the RIVIERA AIC10 the widest possible range in terms of the tonal orientation of the headphone amplifier, Silvio Delfino has packed me 3 different tube arrangements. In addition to the standard RoHS-compliant ECC802S tube, I also find 2 PHILIPS MINIWATT ECC82 NOS tubes and a MULLARD M8136 in the included accessories. While the PHILIPS tube from the New Old Stock (NOS) inventory should, according to Silvio’s statement, be responsible for increased dynamic qualities, the MULLARD tube prefers a more colorful and earthy gait. However, both tubes are certainly among the best alternatives to standard tubing in the world. Great, of course, this always awakens the play instinct in me. And since the AIC10 does not have its own digital data processing capability, I of course also provide it with an adequate top digital-to-analogue converter. The DAC21 from BAKOON is given preference over the MYTEK BROOKLYN + because of its outstanding musicality. The signal supplier for the corresponding digital data is my AURALIC ARIES MINI, which is supplied with clean power via the in-house external AURALIC ULTRA LOW NOISE power supply. In particular, according to RIVIERA AUDIO’s own claim, the HIFIMAN SUSVARA seems ideally suited to adequately challenge the AIC10. In particular, the SUSVARA is, in terms of performance, not a food lover and usually separates the wheat from the chaff very quickly with regard to its potential game partners. Incidentally, the components are also wired via an AUDIOQUEST CARBON USB cable or via an AUDIOQUEST YOSEMITE RCA connection. As a musical test material I once again serve the usual suspects from classical music, jazz, pop and rock. The corresponding digital data in HIGH-RES resolution is either directly streamed via QOBUZ or retrieved directly from the implemented SSD hard disk of the ARIES MINI. One maybe directly in advance. In the run-up to this review, I’ve dealt rather less with headphone amplifiers this price category. Quite simply because I was of the opinion that the attainable sound quality can not be significantly increased after a certain monetary investment. And thus a 5-digit price tag can no longer correlate with the actual acoustic countervalue. I was wrong. Because the RIVIERA AIC10 teaches me a better. This game partner for the HIFIMAN SUSVARA is undoubtedly the best headphone amp I’ve ever heard. The fascination that emanates from this Italian masterpiece is difficult to grasp with my usual test criteria. Numerous press publications have already been published worldwide via HIFIMAN SUSVARA. And not a few journalists call him the currently best headphone in the world. Especially in combination with a suitable game partner, the magnetostatic surface radiator obviously grows beyond itself. Also, I have set the SUSVARA in my personal TOP 5 on the current top position, closely followed by the ABYSS AB1266 PHI. And as a self-confessed Grail Knight of the Sound, I’ve already paired the HIFIMAN with all imaginable headphone amplifiers, whose listing is likely to read for some, like a veritable Desired Concert for Headphones Crazy. TRAFOMATIC HEAD2, XIAUDIO FORMULA S, CAYIN HA300, PATHOS INPOL EAR, VIVA EGOISTA 845, HIFIMAN EF1000, just to name a few of the enhancers I’ve tested. All these world-class amplifiers drive the SUSVARA with ease and also give it their very own individual sound. And, of course, any discussion with regard to their acoustic qualities is unnecessary with these game partners. My choice ultimately fell on the PATHOS INPOL EAR. The patented hybrid design of the traditional Italian company combines delicate tube melting with the precision of a solid state design. Truly a sonic revelation. The modular concept also meets my taste. On request, the INPOL EAR acts as a “stand-alone” device completely self-sufficient and in the best case only needs control via an app as well as a mundane power connection. Streamers, data storage, DAC and headphone amplifiers. Everything in one device. And in addition optically well packaged. Fits. But the PATHOS also marks my financial pain threshold. In full equipment after all, almost 6,000, – € payable. However, in light of the excellent sonic qualities of the INPOL EAR in combination with the SUSVARA, this can at least be somewhat represented before the domestic management. All the same, my wife basically always has a lot of understanding for my headphone hobby. Man, what luck I have. And why the hell did I let the Italians persuade me to do this test? The first audition at the HIGH-END in Munich should have served me as a warning. But unfortunately, as so often, unspeakable curiosity prevailed. Especially since the principle of reinforcement in principle, of course, I promised directly, as it allows corresponding cross-comparisons to the INPOL EAR. So is the RIVIERA AIC10 now in a position to help the HIFIMAN SUSVARA achieve the sonic heights promised by Luca? To make it very short. Yes – without a doubt. And if you ask yourself, what exactly is he doing better now, my answer is as succinct as it is sobering. Just everything. On the one hand, the HIFIMAN SUSVARA on the RIVIERA AIC10 unfolds a dynamic that is second to none. No matter what listening levels are required, the AIC10 reproduces any music genre completely undistorted and with such blatant self-assurance that the perceived difference to the live experience tends to close to zero. Especially passages with blatant level jumps in classical orchestras are reproduced indescribably explosive and realistic depending on the selected music material. On the other hand, the speed shown here is almost incomprehensible, the timely game of the AIC10 is simply perfect. This is rather unusual for cars of this power class and often a typical feature of small OTL headphone amplifiers such as the FELIKS EUFORIA. And it is precisely this combination of coarse and fine-dynamic qualities at the same time optimal timing is a nearly unbeatable weapon in the fight for the worldwide amplifier throne. Because especially these two tonal attributes are significantly responsible for the exorbitant level of authenticity of the AIC10. In combination with the RIVIERA, the SUSVARA creates a stunning spatial impression in width and depth, which undoubtedly sets new standards in this segment. The HIFIMAN is temporarily unrecognizable and I now gradually understand the true potential of this headphone. The two partners not only impress with a splendid accuracy of the musical events and in the context of a true-to-size image, but also provide individual soloists with an incredible edge sharpness and focus them precisely and virtually plastically in the virtual space. I have not yet experienced this spatial precision in this form, neither through a dynamic nor through an electrostatic system. 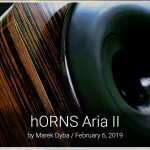 The impressive bass of the SUSVARA acts on the AIC10, as expected, dust-dry and without hesitation, in addition enormously powerful and controlled, with a great illumination of even the deepest realms. The RIVIERA has almost scary power reserves for even hearing-impaired listening levels. The bass of the SUSVARA simply pushes without a recognizable end. It’s just not better. The substantial pitch range of the AIC10 also gives voices and instruments in conjunction with the SUSVARA an authentic level of body, which I often miss painfully in many electrostatic systems. The middle frequencies are sometimes one of the great strengths of this congenial pairing and on “authenticity” currently out of any known headphone system to outbid. The playback of the transients is completely natural, the midrange is fantastically balanced. The organic combination of tonal richness and plasticity with extraordinary transparency makes just addictive and captivates me until late into the night at my listening position. Damn, why I just got carried away to this review. Finally, in the treble range, the SUSVARA uses the AIC10 to bring out micro-details that I’ve never consciously heard before. The SUSVARA also acts in this frequency range on the RIVIERA absolutely sovereign, also completely relaxed and of course without conspicuous accentuation of sibilants. The resolving power in the interaction of the two congenial partners is simply phenomenal and undoubtedly at the level of the very best electrostatic systems. Great. And this performance is, I scarcely believe, actually able to be increased. Because of course I have also tested the additional tube sets and can only confirm the sound assessment of Silvio fully. In particular, the MULLARD M8136 NOS is becoming my personal favorite. Because with this tube assembly, the last ounce of hardness in the sound is lost. And this without sacrificing the dynamic qualities. However, the AIC10 with the PHILIPS MINIWATT NOS Triode plays a little brighter, and therefore a bit fresher, especially in older recordings. Depending on the headset used, the RIVIERA KHV can be perfectly adapted to your personal listening preferences with an easy-to-use tube replacement. An excellent solution, I think. And Tube-Rolling is fun anyway. Powerful, powerful and with unbelievable depth, nevertheless without any problems fast and impulsive. No compression effects of the headphones at all conceivable listening volumes. Earthy tone range with absolutely believable body. Pleasantly warm sound with excellent bass connection. Fantastic tonal richness with amazing plasticity. At the same time completely transparent reproduction of the music. Completely natural-looking transient reproduction. 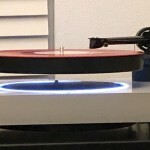 Unprecedented authenticity in connection with the HIFIMAN SUSVARA. Outstanding detail and filigree resolution to the smallest ramifications. Completely relaxed reproduction of sibilants. Optimum connection to the mid-range range. Precise localization with a very realistic image size. Extremely airy and open-looking sound. Impressive edge sharpness of all musical events. This extensive stage presentation and perfect staggering into the depth. Incredible power reserves cause a phenomenal gross dynamics, even with low-efficiency headphones. Explosive dynamic leaps in classical music. Hard to distinguish from the actual event. But meticulous and soulful fine-dynamic qualities. Illumination of even the finest shades. Although the RIVIERA AIC10 only achieves top scores in all individual disciplines in the sound-relevant areas, even this assessment does not fully meet its needs. For what distinguishes the AIC10 in the first place compared to the competitors IMO, is its all-out musicality. The AIC10 operates with an incomparably musical flow that is difficult to put into words. And no matter which of my headphone amplifiers I use for comparison, they do not reach the relaxed superior and almost passionate style of the RIVIERA. In combination with the HIFIMAN SUSVARA, the AIC10 is thus at the top of the assembled world elite. And in this combination IMO certainly acts on equal footing with a HIFIMAN SHANGRI LA or a SENNHEISER HE1 system. The RIVIERA AIC10 is without any doubt an absolute exception amplifier in the HIGH-END headphone segment. However, for a very proud price. And therefore for most probably unaffordable. My unreserved recommendation, however, to all the Grail Knights of the Sound, who willingly and financially be able to use this Italian wonder weapon. And at the end of a perhaps very long journey arrived. The RIVIERA AIC10 is nothing short of an impressive statement for headphone playback. 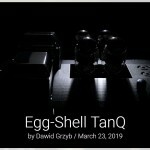 An “end game” amplifier that conveys to the listener “Closer to the Music” the highest degree of authenticity and almost incomparably emotional. Terrific. A masterpiece.